SEATTLE (December 19, 2016) – This has been a difficult year for children. More than 2 million Syrian children are refugees. Last year, roughly half of all refugees in the world were under 18. 1 in 5 children in the United States live below the poverty line. But it’s not too late to end the year on a positive note, says World Vision. End-of-year gifts to a favorite charity are a great way to say goodbye to 2016 while giving a gift that will last a lifetime. According to the organization’s annual Holiday Giving Survey, conducted online by Harris Poll, more than 3 in 5 Americans (63 percent) typically donate to an organization or charitable cause in the last two weeks of the year. More than a quarter of Americans typically make end of year donations to churches (27 percent), charities that serve the poor (27 percent), or children’s charities (26 percent). The 8th annual World Vision Holiday Giving Survey aims to study the state of holiday giving across the United States. The survey also found passion and personal connection are among the most influential factors that would help people decide what charities to donate to at the end of the year. Roughly half of Americans (52 percent) would choose to donate to charities that support a cause they are passionate about, and more than one-third (35 percent) say they would choose a charity they have a current personal connection to. · Nearly three in ten Americans (28 percent) say they would make end-of-year donations to charities to receive income tax benefits. · Men (67 percent) are more likely than women (59 percent) to typically donate to an organization or charitable cause in the last two weeks of the year. · More than one-third of Americans (37 percent) do not typically make a charitable donation at the end of the year. Many people use the last week between Christmas and New Year’s to make charitable donations that can help with their tax bill, but year-end giving doesn’t have to mean last-minute. We all want to be wise with our financial gifts. Here are some ideas to maximize your impact and minimize your 2016 tax bill as you make a difference for children and families in need. 1. Keep it simple: Give to an organization’s general fund and allow them to choose the best way to use it. 2. Pay it forward: Select a monthly donation like child sponsorship to give the gift that keeps on giving. 3. Give someone else’s money: Find out if your employer offers matching donations to double your impact. 4. Forget your checkbook: Donate personal property rather than financial gifts. 5. “Double” your tax break: Donate assets like stock or real estate and earn a charitable deduction while eliminating the capital gains tax on the appreciation. 6. Let the charity handle the details: Open a Donor Advised Fund and let the charity handle the details. 7. Remember the deadline: Gifts must be completed by December 31, 2016, to receive a tax break. Gifts in the catalog range from $16 to $39,000. In FY 2016, more than 112,000 people donated more than 274,000 items from the World Vision Gift Catalog to help their neighbors in need around the world. 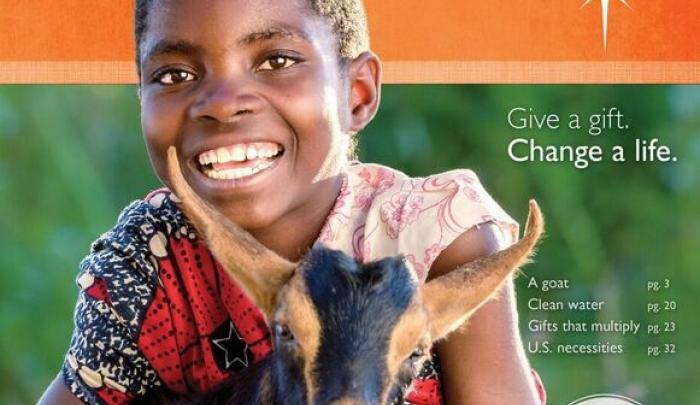 To find out more, visit www.worldvision.org or call 1-855-WV-GIFTS (1-855-984-4387). Want to see where your dollars go? Watch how the Gift Catalog works through this video. This survey was conducted online within the United States by Harris Poll on behalf of World Vision from December 5-7, 2016, among 2,062 U.S. adults ages 18 and older. This online survey is not based on a probability sample and therefore no estimate of theoretical sampling error can be calculated. For complete survey methodology, including weighting variables, please contact Johnny Cruz (jcruz@worldvision.org, +1.206.653.4589). New survey studies the state of holiday giving across the U.S.